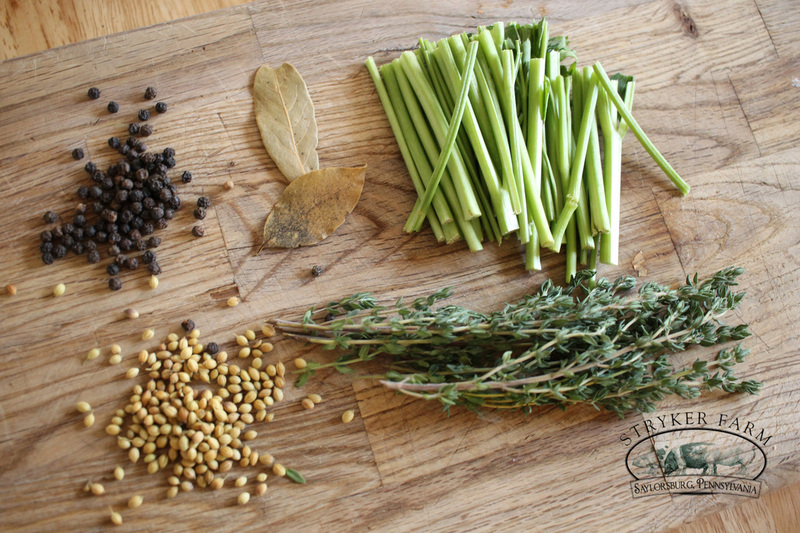 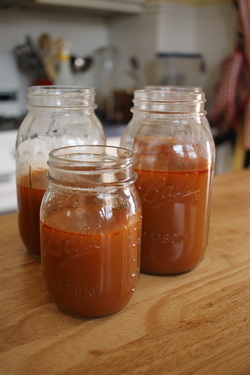 You can’t beat the flavor or health benefits of homemade bone broth! 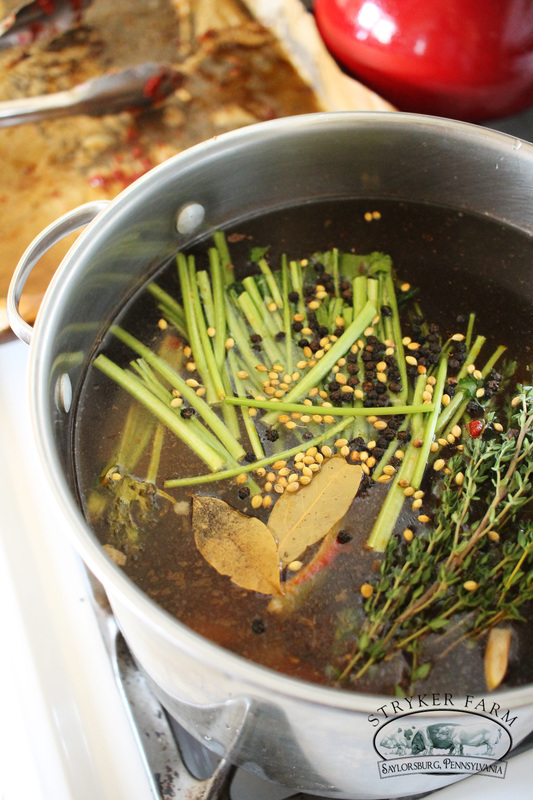 Broth can be made and stored in the fridge for a few days, or move to the freezer for 3 months. 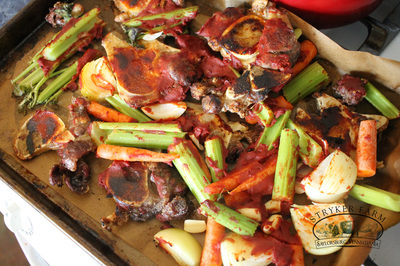 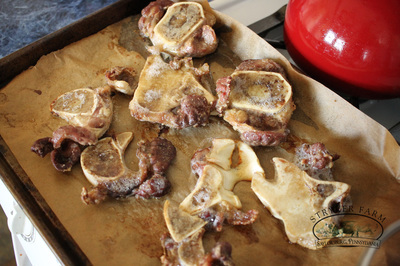 Preheat oven to 450° F. Spread the bones out on a baking sheet. Roast the bones, turning occasionally, until browned, 30 minutes. Cut carrots and celery into large chunks and add to pan along with onions and garlic. 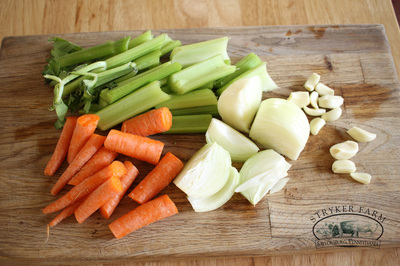 Continue to roast, turning occasionally, until vegetables are brown, another 30 minutes. 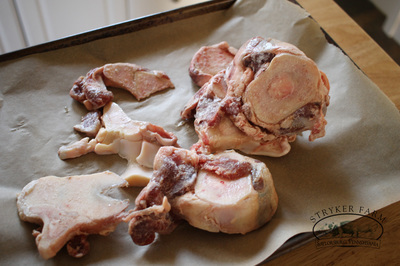 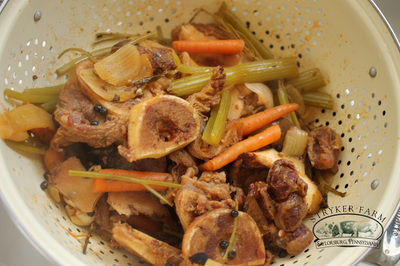 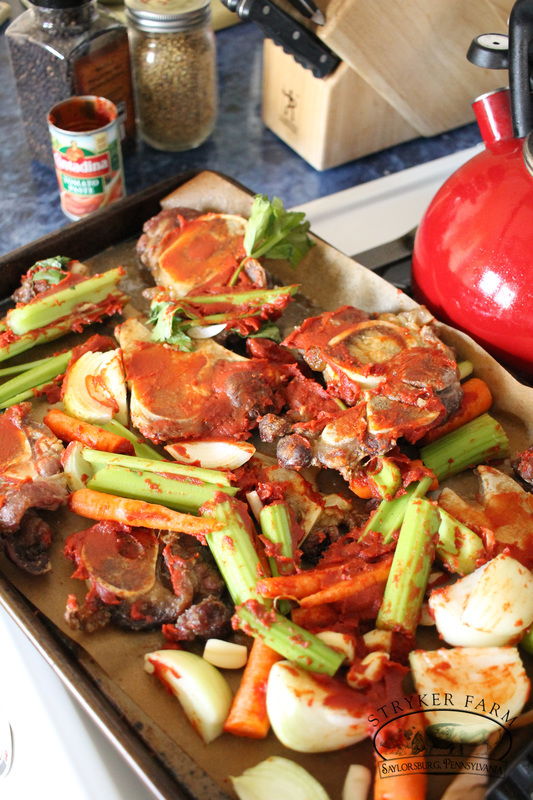 Transfer all the bones, veggies and any juices to a large stockpot; add enough cold water to cover. Add parsley, thyme, bay leaves, and black peppercorns. 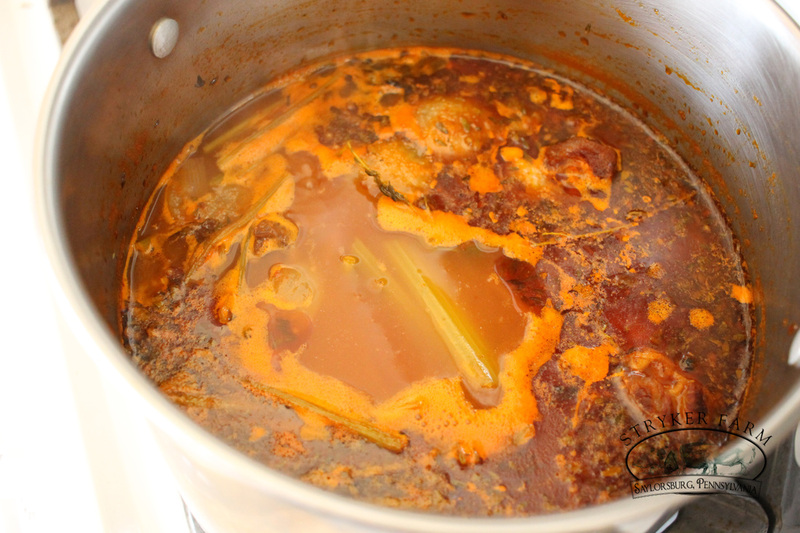 Bring to a boil, reduce heat, and simmer for at least 4 hours, occasionally skimming foam and fat from surface and adding water as needed. 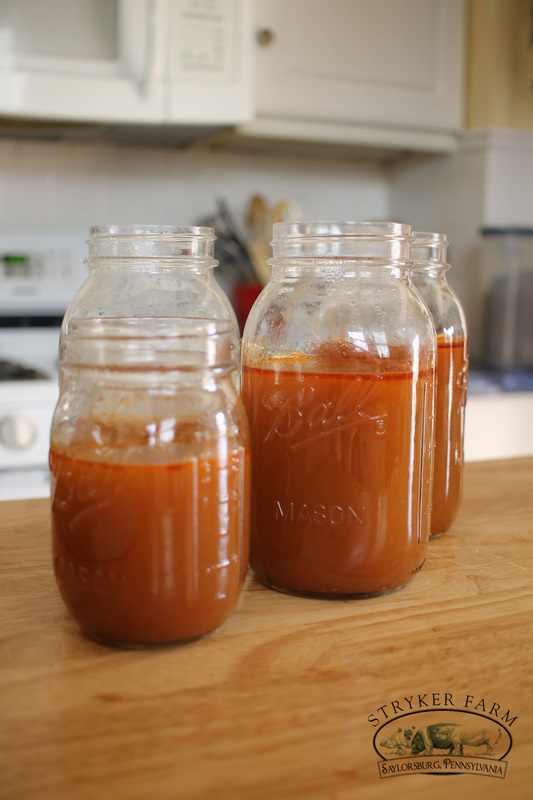 Strain into freezer proof jars.